In their arrangement of two-dimensional forms on the picture surface and dramatic use of a gold ground, Hoitsu and his pupils are truly heirs to the great tradition of Japanese decorative painting. Born in Edo (modern Tokyo) into a wealthy samurai family, Hoitsu experimented with a variety of idioms before finally taking up the Rimpa style of Ogata Korin (1658-1716). He was responsible for a Rimpa revival in nineteenth-century Edo, and he published two woodblock-printed books on Korin, including the Korin hyakuzu (One hundred paintings of Korin) in 1815. 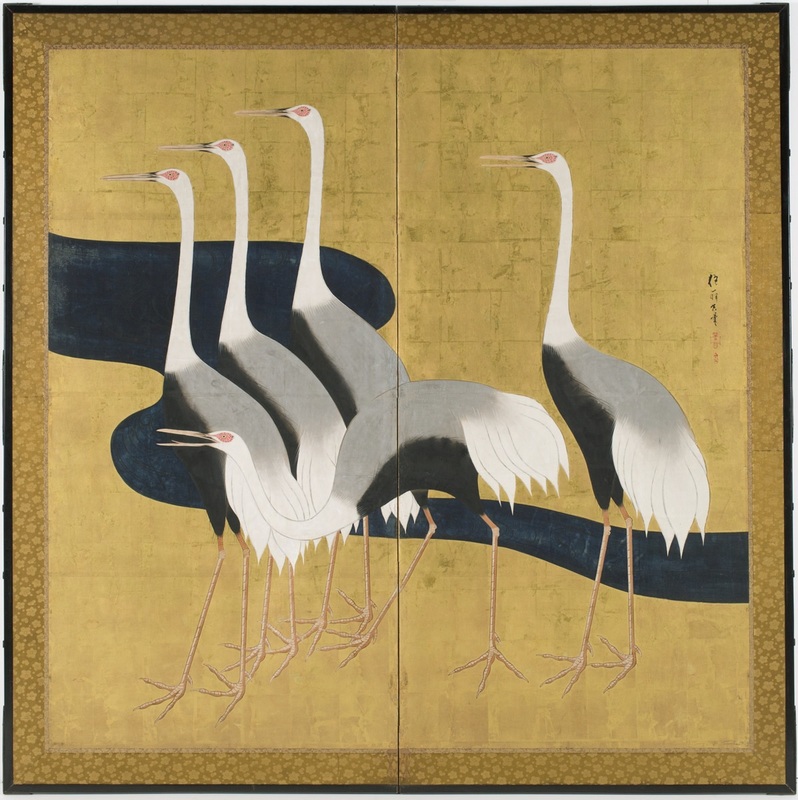 This two-panel screen is virtually a "quotation" from a pair by Korin at the Freer Gallery of Art in Washington, D.C. Hoitsu's work, however, is less naturalistic than the painting on which it is based.